Facts! One For Every Day Of The Year! 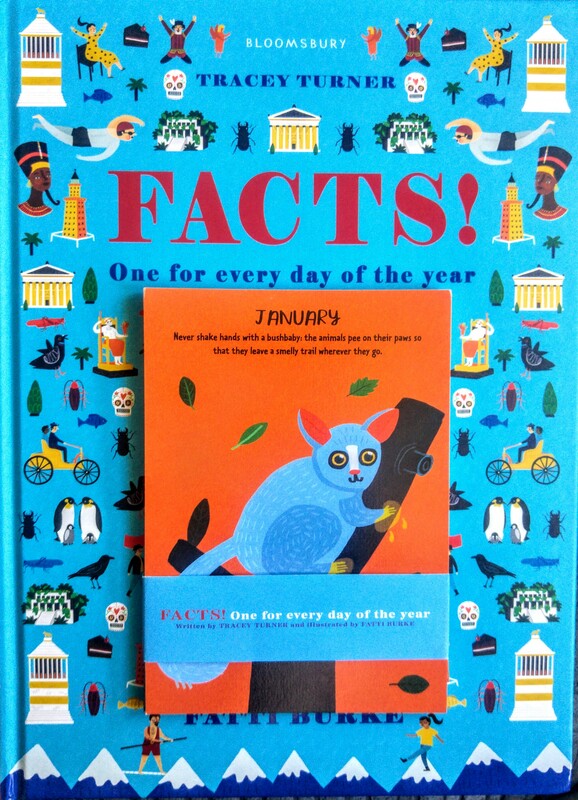 We received* a fab book of Facts! One for every day of the year, written by Tracey Turner and illustrated by Fatti Burke and published by Bloomsbury Children’s publishing. Available to buy from Amazon at £12.99 this book would make a great addition to any child’s bookshelf. The Book comes with postcards, one for each month with a fun fact and illustration. From animal facts to how to say ‘Happy Christmas’ in 20 different languages! We love postcards and have started collecting them when we visit somewhere new so Eva loved adding these fun postcards to her collection. Facts! One for every day of the year is a fantastic book for children is a beautifully illustrated fact book for children aged 4-8 years. This book would be a fantastic educational Birthday or Christmas gift to be treasured and read daily. Children enjoy learning fun facts and this book is absolutely bursting with them! Everyone can learn something with this book. It’s amazing reading through the facts, they are so interesting and accompanied by such fun, colourful illustrations that will draw in any child! Eva (7) loved flicking through and finding facts for certain days such as our birthdays. Interestingly Izzy shares her birthday with Alexander Fleming who discovered Penicillin, which both girls & I are allergic to. We’ve had lots of fun checking the daily facts and Eva has learnt plenty of interesting facts to go back to school and share with her friends & teachers. I can see this book being pulled out daily to read and show to visitors too. Children are knowledge hungry at this age and I love to feed that hunger with books like this. This book contains amusing animal facts, amazing space stats, scientific discoveries, fantastic achievements, and so much more! There really is something for everyone is this fantastic book for children. I would definitely recommend this to anyone looking for an interesting and educational gift. I love books like these which you can dip in and out or sometimes just do a massive binge on! Ooh this would be a good Christmas present. My son is obsessed with learning facts about things. Cannot think where he gets it from…haha! Haha! This would be perfect then.